In the past couple of decades, there has been a renewed interest in stressing the key fact that your oral health does affect your overall health much more than people may actually realize. Various studies have been conducted and published to establish connections between oral care and cardiovascular, digestive, and even mental health as well as low birth weight babies. As such, it’s only right that you give proper attention to your teeth to achieve a more comprehensive care for your health. Perhaps the best way to preserve good oral health is to maintain a good relationship with your general dentist. This means setting up regular appointments with them so that you can keep updated with the state of your teeth and gum health. For adults, it is recommended to visit the dentist at least twice a year. Unless, of course, there are some issues that must be addressed, in which case you’ll need to set up appointments more frequently. One big advantage of regular visits to the dentist is that you will be able to maintain your oral health and prevent any potential issues at the same time. There are those issues like cavities or gum problems that are not necessarily visible until it is already worse, or the pain becomes unbearable. With regular checks with your dentist, however, they are more likely to find out about it sooner, and thus nip the problem in the bud, so to speak. Oral health does not require calorie counting, but at the very least, be mindful of the food you eat and how they can possibly affect your oral health. Sweets and other sugary treats are of course likely to make your teeth vulnerable to cavity and decay. Smoking cigarettes and tobaccos, as well as drinking red wine or fruit juices, could also stain and tarnish your teeth. The protective enamel of your teeth will get eroded, thereby making your teeth more susceptible to damage. 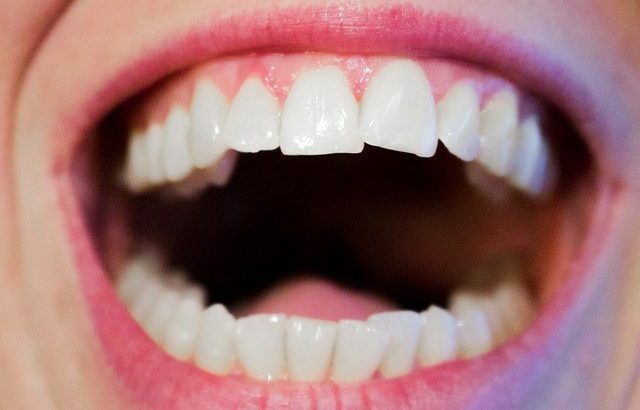 When you talk of oral care, your gums are just as important as the teeth. Make sure to brush them regularly too, and gently, so that they can be massaged as well. Any swelling, sensitivity, or irregular bleeding should ideally be consulted with your dentist to make sure it’s not anything serious. The key to good oral health, therefore, is keeping well in touch with your dentist. Make those visits as regular as needed and you can rest assured you’ll always be ready with a beaming smile. When it comes to maintaining your oral health and teeth strength, nothing beats regular teeth brushing, flossing and routine every day’s hygiene. Occasional visitations to your dentists are also essential for prevention of teeth decaying timely. However, you can attribute to these protective activities and habits by adjusting your common diet and implementing specific nutrients and foods into your meals. You should focus on foods rich in vitamin B and C, fluoride and iodine, calcium and poor in decay-promoting sugars and acids. Regular drinking water should be fluoridated; if it’s not, you’ll have to implement fluoride you’re your diet. Fluoride is the main protector against dental cavities, and along with calcium and iodine, it protects tooth enamel and controls oral pH values. Here’s a brief rundown of several other foods that help you protect your teeth from decaying and your oral cavity from various health issues. As mentioned before, calcium is one of the most important elements for teeth protection and proper remineralization, and most dairy products are rich in calcium. However, not all of them are sugar-free, and the combination of lactose and additional sugars is detrimental to teeth. Thus, you should add sufficient amount of milk, yogurt and certain types of cheese onto your plate, but avoid sweetened milky products. Soft sorts of cheese are rich in phosphate too while containing low acidity, which helps maintain steady pH values in your mouth. All of this has a positive impact on teeth enamel and prevents decaying. When picking fruits that would help you protect your teeth, focus on fruits rich in vitamin C. There are two main reasons for this. Namely, vitamin C is a major antioxidant in our bodies, it fights toxic effects of free radicals and other pollutants, thus preventing deterioration of tissues or even malignant alteration. On the other hand, vitamin C is essential for the production of strong and healthy collagen in tissues, especially in gum tissue. Vitamin C deficiency is also known as scurvy, and one of the main characteristics of this diseases is bleeding and deterioration of gums and soft tissues in the oral cavity. At the advanced stage, the disease affects every component of teeth as well. To prevent it, fruits rich in vitamin C are the choice. Carrots, onions, broccoli, pumpkins, and potatoes. These are just some of the beneficial vegetables you should consume more frequently to improve your dental health. Onions are powerful antioxidants and essential in fighting dental infections and bacteria growth. Celery neutralizes accumulated acids destroying teeth enamel. Carrots and pumpkins improve the quality of teeth enamel via rich content of vitamin A. Aside listed vegetables, you should exchange meet rich in fat to fish, chicken, turkey, and eggs, which are the foods with better composition and ration among nutrients, thus will keep a proper pH values and low concentration of aggressive acids in your oral cavity. With proper and regular hygiene, brushing, flossing, and dental examinations, previously mentioned nutrients should be enough for you to improve your oral health and decrease the risk of dental health problems. Just as unhealthy diet and a wide range of bad habits influence our general health and body condition by promoting various health issues, all of these risk factors influence our dental health as well. Since our teeth are the first to make contact with all the foods and drinks we take on a daily basis, the major risk potential lies in our diet. Further, there are some hazardous habits, such as smoking and alcohol consumption. Combined with poor oral hygiene and avoiding visitations to your dentist, this is a perfect terrain for many dental and oral health problems to emerge. Thus, here’s a list of detrimental foods and drinks and some habits and activities you should avoid to maintain your teeth healthy and long-lasting. One of the major suspects for teeth decaying and dental cavities are various types of carbohydrates and concentrated sugars. Opposite to the effect on your body weight, it’s more important how frequent you consume these nutrients than how much you take per one meal. Not all sugars are equally detrimental. Sucrose and cooked starches, both often found in fast food, candies, crisps, and chips are the most dangerous. Since digestion of carbohydrates begins in oral cavity under the influence of saliva enzymes, long exposure to high concentrations of these sugars will lead to significant decrease of pH values in your mouth. Low pH levels promote demineralization of enamel and also create adequate terrain for bacteria growth. Thus, to avoid this hazardous effect, you should avoid these foods, decrease the total intake of concentrated sugars, both in foods and drinks, and rather opt for sugars found in fruits and fruit juices. Some sorts of food tend to stick to the teeth surface, and simple saliva flow cannot remove them effectively. After you’ve had a meal rich in these foods, the best is to brush your teeth after eating. Food sticking to your enamel directly attacks the superficial components of teeth by reducing pH values and providing nutrients for bacteria development. This enhances decaying and cavities emerging. However, if you can’t brush your teeth right after eating, there are too protective options. Use sugar-free gum and chew it for a while. It will mechanically remove the majority of food particles stuck among teeth, and it will also stimulate saliva secretion that will prevent significant changes in pH value and suppress bacteria growth. Another option is to consume sufficient amount of water containing fluoride or even to floss your teeth with it after eating. Certainly, the most detrimental habit regarding dental health is smoking. Chewing tobacco is no less hazardous than common smoking. Aside yellowing effect caused by plaques on teeth surface, smoking decreases the overall quality of teeth material and promotes malignant alterations in the oral cavity. Some medications have a similar effect. If you can’t avoid using these, at least pay more attention to your oral hygiene and visit your dentist more frequently.